Thirty-six miles west of St. George, Utah, across the Beaver Dam Mountains, is a natural oasis known as the Lytle Preserve. This remarkable area of beauty and biological diversity - one of Utah's most delicate and unique ecosystems - is preserved for study and enjoyment. 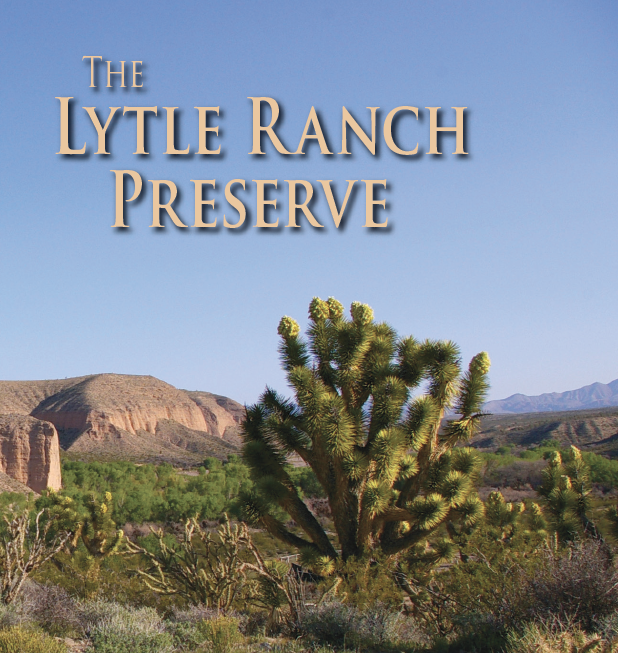 The Lytle Preserve is in the southwest corner of Utah where the Basin and Range Province of the Mojave Desert is juxtaposed to the Colorado River Plateau. The Preserve is at an unusual place in North America where unique geological formations and ecosystems overlap. Consisting of more than 600 acres the Preserve is situated along the Beaver Dam Wash drainage at an approximate elevation of 2800 feet, one of the lowest points in Utah. Beaver Dam Wash drains south into Arizona, where it joins the Virgin River, a Colorado River tributary, at Beaver Dam, Arizona. Plant and animal diversity offers an ironic contrast in what seems, at first, to be an inhospitable environment. The low elevation course of the entrenched Beaver Dam Creek has provided a pathway for plants, animals, and humans into the Beaver Dam Wash vicinity. A year-round water source on the Lytle Preserve is an unusual feature in the margin of the Mojave Desert, which extends into Utah in this area. The unusual combination of geology, climate, elevation and water supply supports many trees, shrubs, and wildlife, most of which are unique to this part of Utah.